Cervical surgery often requires distraction of the vertebrae to gain access to the disc space. A gold standard method is the use of Caspar pins and a distractor. These pins anchor into the vertebra while a linear ratchet is able to distract open the disc space. This provides the space to perform discectomies or temporarily restoring disc height. The Southern Medical Caspar Distractor offers a low profile and sturdy instrument to distract the cervical vertebrae. The pins are easily locked and unlocked into the distractor to ensure slippage cannot occur. 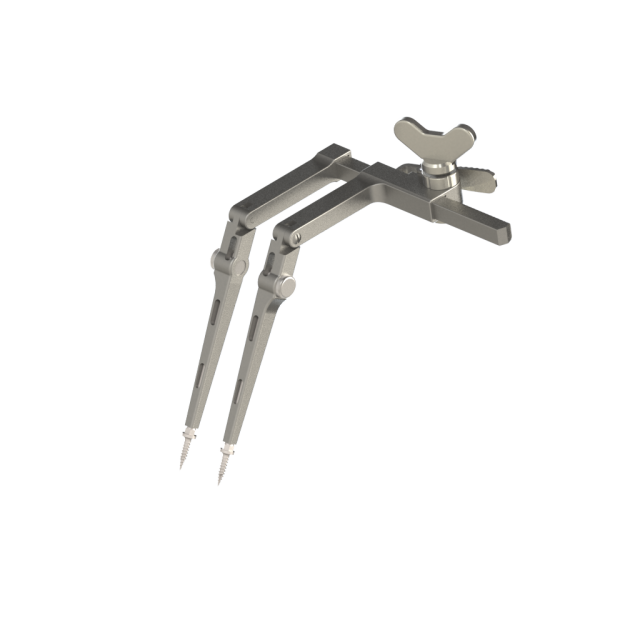 The ratchet is able to fold away from the line of view, improving visualisation of the cervical spine. 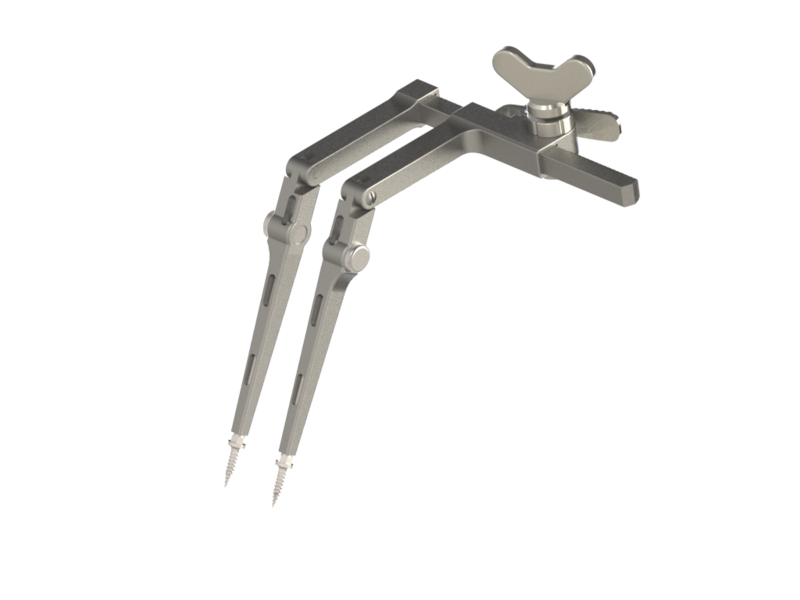 The symmetry of the distractor allows for any preferential orientation to be easily obtained for left-handed and right-handed surgeons.